Situated within less than 1 km of Khao San Road and a 20-minute walk of Temple of the Emerald Buddha, Star Dome Inn provides rooms with air conditioning and a private bathroom in Bangkok. 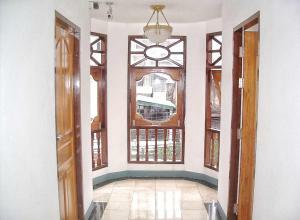 Built in 2007, the property is within just 2 km of Grand Palace and 2 km of Bangkok City Pillar. The property offers a 24-hour front desk. All rooms in the japanese-style business hotel are fitted with a flat-screen TV. A continental breakfast is served daily at the property. There is an in-house restaurant, which serves a variety of British dishes. Temple of the Golden Mount is 2 km from Star Dome Inn, while Wat Pho is 2.8 km from the property. Don Mueang International Airport is 26 km away. A security deposit of THB 500 is required upon arrival for incidentals. This deposit is fully refundable upon check-out and subject to a damage inspection of the accommodation. Please note that guests are required to present a valid photo identification, such as a passport, upon check in. Please inform Star Dome Inn in advance of your expected arrival time. You can use the Special Requests box when booking, or contact the property directly with the contact details provided in your confirmation. A damage deposit of THB 500 is required on arrival. This will be collected as a cash payment. You should be reimbursed on check-out. Your deposit will be refunded in full in cash, subject to an inspection of the property. Rate: THB 790.00 ... THB 1290.00; select dates below to get current rates.